Does your tooth feel weak and vulnerable? Do you experience unusual sensitivity to hot and cold temperatures? Many patients who experience symptoms such as these assume that the tooth has been damaged by tooth decay. These are actually side effects that are just as likely the result of tooth erosion. At his cosmetic dentistry practice, Dr. Byron W. Wall helps his Albuquerque patients understand tooth erosion and its probable causes. It is important for patients to understand that tooth erosion and tooth decay are two different things. Tooth decay is a condition in which plaque and tartar slowly eat away at the tooth’s enamel and form small holes or “cavities” on the surface of the tooth. Tooth erosion is the gradual breakdown of the tooth’s enamel due to exposure to acid. Acid erosion wears away at the tooth’s protective layer, making it weaker and leaving the tooth vulnerable to damage. Patients can prevent tooth erosion by avoiding acidic food and beverages and maintaining good oral health habits such as regular brushing and flossing. Professional dental exams and cleanings are also helpful in keeping the teeth clean and detecting tooth erosion in its earliest stages. 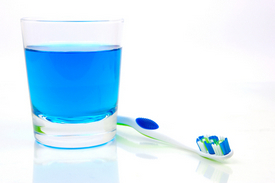 Unfortunately, the damage that has already been caused by tooth erosion cannot be reversed. However, Dr. Wall can restore the strength of the tooth with restorative dental procedures. Dental crowns are particularly successful in restoring a tooth that has been damaged by tooth erosion. Dental crowns fit over the damaged tooth to provide strength and protection. Dr. Byron W. Wall offers dental services to meet all your oral health and cosmetic needs in a setting that is both friendly and comfortable. If you believe that your dental health could use some improvement or if you are worried about the effects of acid erosion, schedule an appointment with Dr. Wall at your earliest convenience.